Plug & Play: No Drivers necessary. 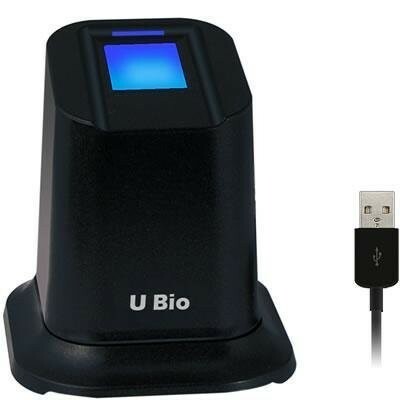 U-Bio is a USB fingerprint reader designed for use with fingerprint terminals or software. U-Bio fingerprint reader utilizes an optical fingerprint scanner which is scratch-proof and durable. Sensor: Anviz AFOS Optical Fingerprint Sensor. Communication Interface: Mini USB Slave. Scan Area: 0.9" x 0.7".